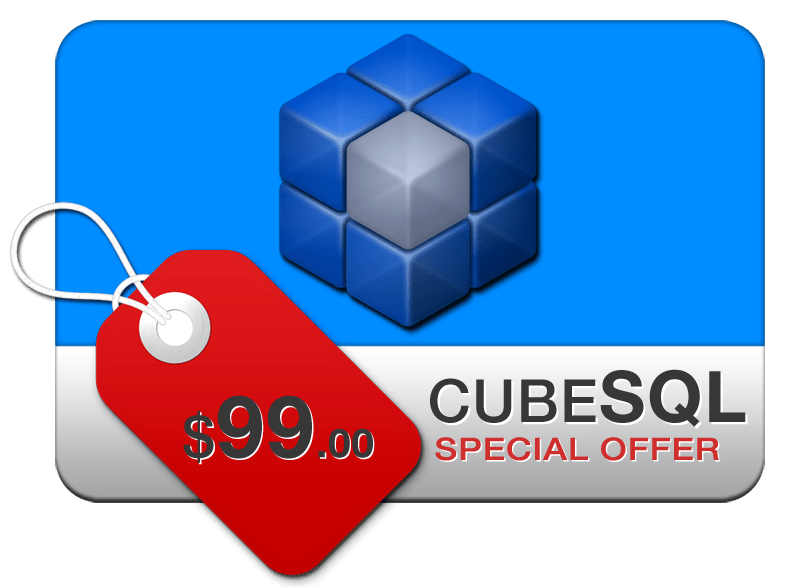 After several months of development we are proud to announce the immediate availability of cubeSQL 5.6. In order to incentivate the upgrade to this latest version we are offering (for a limited time) the unlimited version for just $99 (a $500 saving). cubeSQL 5.6 fixes all know issues and it also includes several performance related changes that you’ll immediately noticed when compared to older versions. cubeSQL is available for MacOS X (32 and 64bit), Linux (32 and 64bit) and Windows (32 and 64bit).